Send this special gift of Gaudy Titan Fastrack Yellow Wallet for Ladies to your relatives and friends and make them surprised. 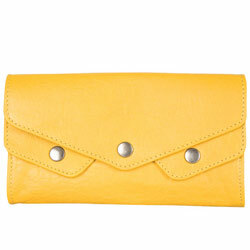 This designer ladies Wallet is consisted of pure Leather in Yellow color. It is really perfect for the ladies of modern spirit.